With over 20 years’ experience that has seen growth and success for Lowe Electrical, working as electrical contractors to the education sector continues to demand the highest level of vision, skill and working practice. 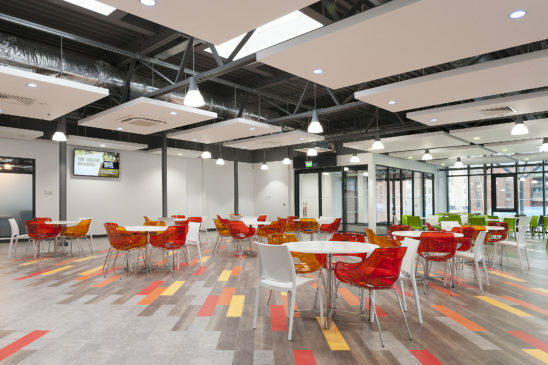 Lowe has worked with Leicester’s De Montfort University for over 10 years and is excited to be part of the £136 million campus transformation currently underway. As part of the construction of the university’s new Vijay Patel Building, which will house its art and design courses, Lowe Electrical was appointed to work on the building’s new Food Village, opening mid-April. The Food Village offers staff and students of the University a first class dining experience in beautifully designed and crafted surroundings. Lowe Electrical has been working on this project with foodservice design experts; CDS Wilman and contract catering leaders; Chartwells, who are part of the Compass Group. The collaboration has proved to be a major success and one that Lowe Electrical’s Managing Director Jon Lowe says has been a positive, productive and enjoyable experience. We have been responsible for all the electrical design and installation work, including the lighting, catering units, power outlets, mechanical supplies, security card access and emergency systems. The project at DMU has been an exciting and rewarding venture. 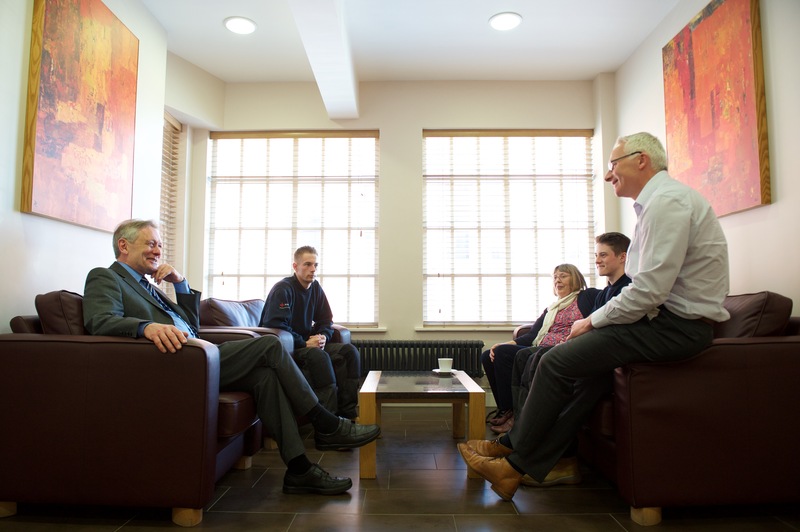 A team of six Lowe engineers has been working for over six months, managing and delivering the vision that the University set out to achieve. 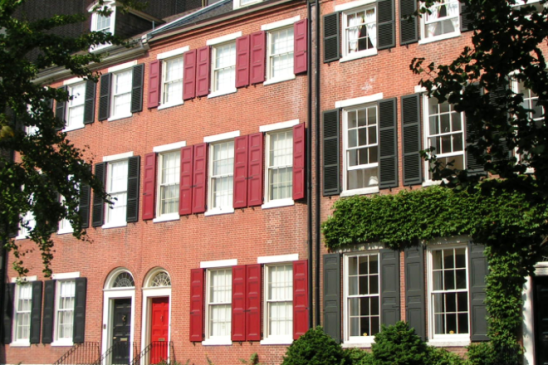 We are incredibly proud of our achievements and look forward to including this in our portfolio. Lowe are committed to future success with the on-going Apprenticeship training and Work Placements we offer. 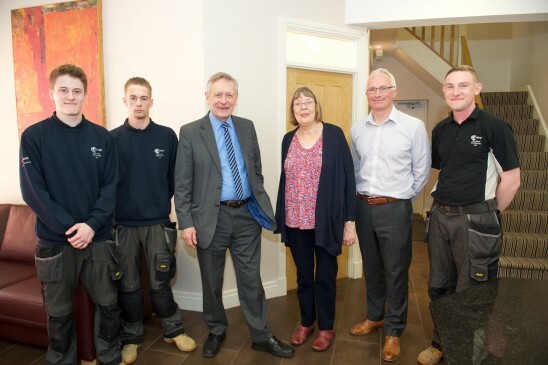 Last week Sir Peter Soulsby and Councillor for Jobs and Skills and Assistant Mayor Sue Waddington met with James Foston and Nathan Jeffrey who are currently Apprentices at Lowe, and Tom Davis who completed his Apprenticeship with Lowe and has been an employee for 10 years. Have a read of our news story here. 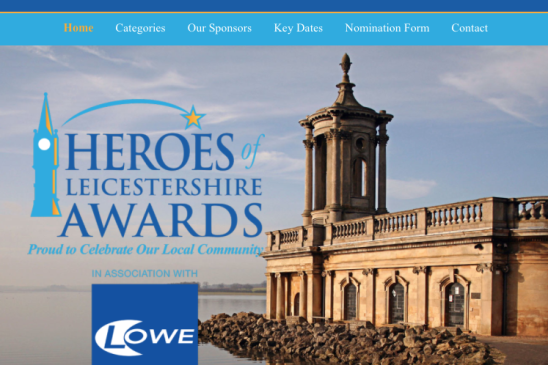 We are delighted to be the headline sponsors for the Heroes of Leicestershire 2016 Awards. This annual event truly gives our County the opportunity to nominate and celebrate the incredible acts of bravery, selflessness and kindness of many extra-ordinary citizens of Leicestershire.